Located at 1626 N Capitol Street, Engine Company 12 was placed in service on July 1, 1897 with an 1884 Clapp & Jones 450 GPM steam fire engine and an 1887 E. B. Preston hose reel carriage. 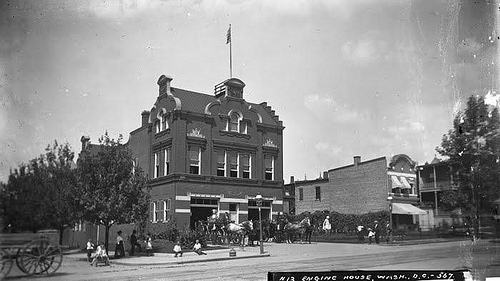 The Snowden Ashford designed firehouse was commissioned by the North Capitol and Eckington Citizens Association to serve the Bloomingdale & Eckington neighborhoods. In 2007, the building was placed on the National Register of Historic Places. Engine Company 12 was meticulously restored in 2013. Step inside and you are instantly enveloped in the history and elegance of this historical neighborhood landmark.